Kenshikai Karate is a traditional form of Japanese Karate. 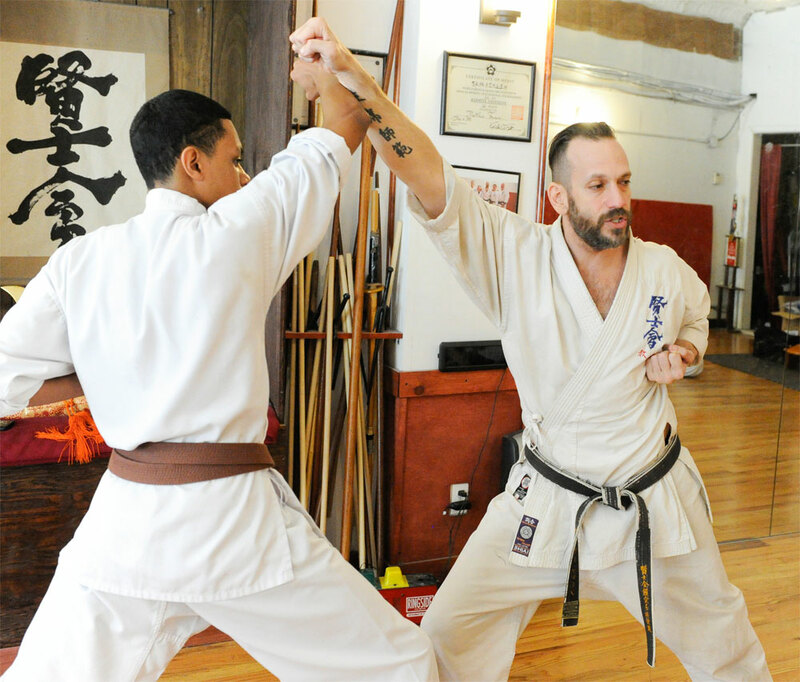 Traditional martial arts have many of the same values of most classical art forms. The goal is to learn the techniques and forms as they have been passed down for many generations. We teach karate in a non-competitive environment where we focus on each individual student's development in their art. 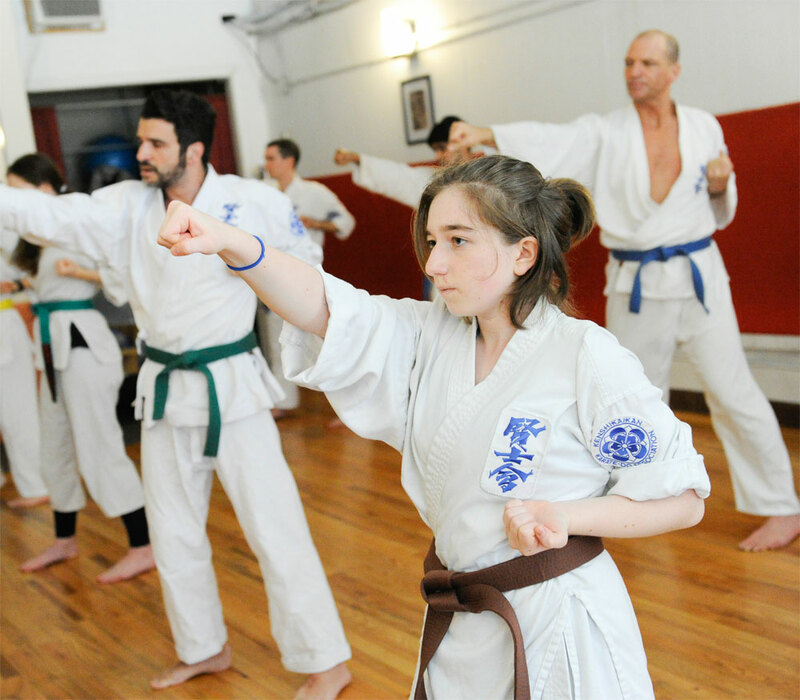 All regular classes contain a short warmup, followed by basic techniques. After this there are combinations and/or basics while moving. 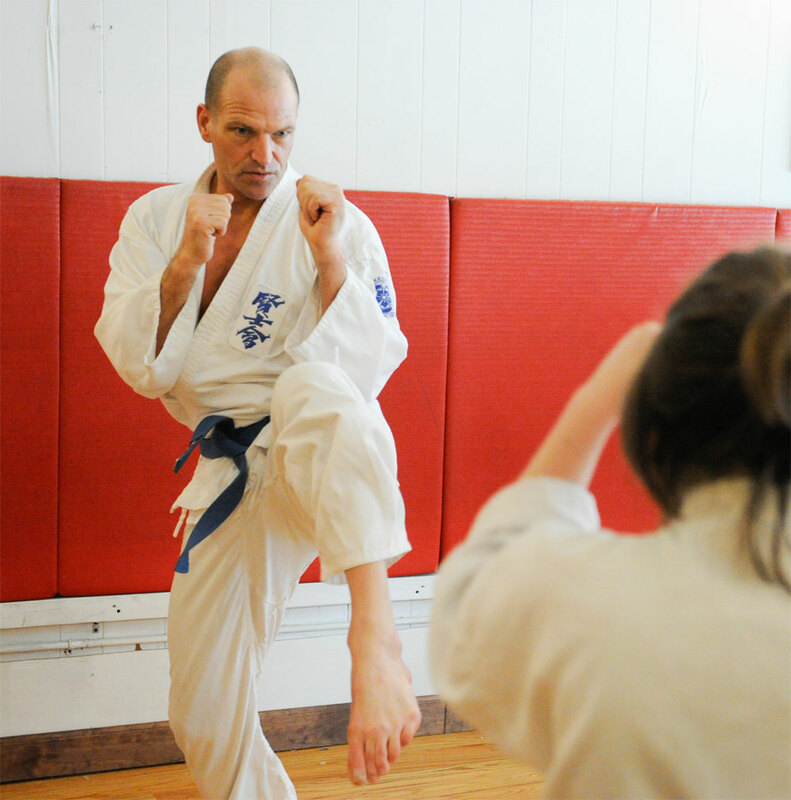 The next section of class is "kata" or pre-arranged series of movements. 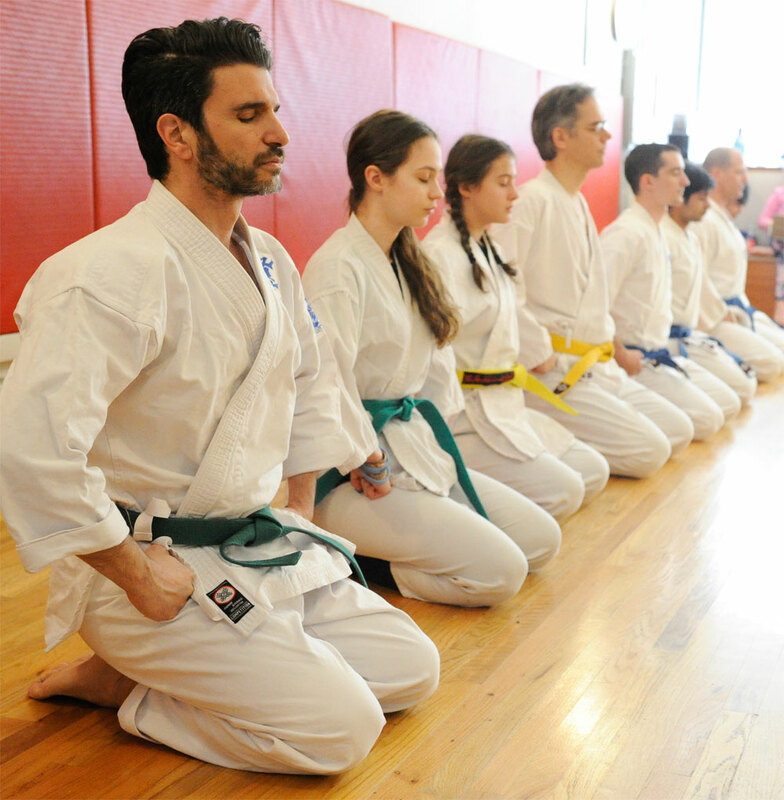 Kata teaches us to string many movements together and is an excellent form of mental and physical exercise. Some classes will contain a variety of pad work, self-defense, advanced sparring ideas or heavier conditioning than is already present in every class. We also have separate sparring classes where students get to work on applying their karate against each other. Our sparring follows standard Kyokushin style rules. Although serious and at a high level, sparring is always meant to be done safely with a mind toward improvement.